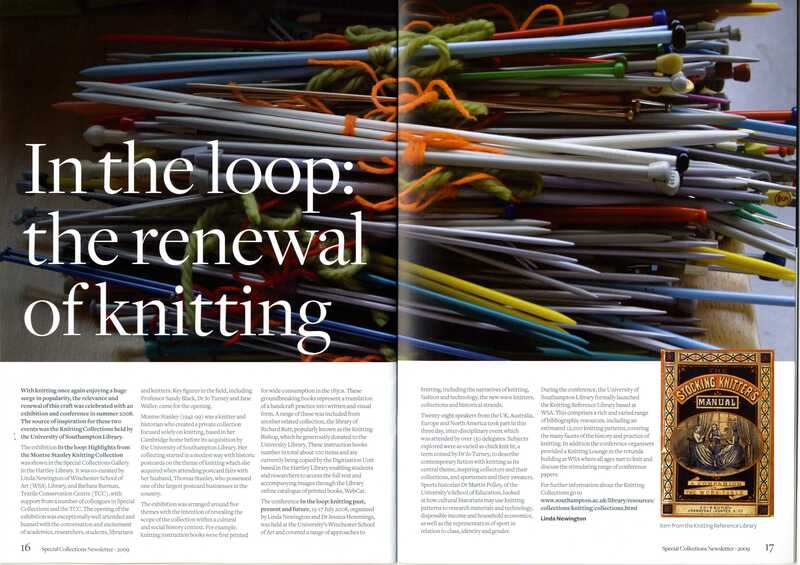 Newington, Linda (2009) In the Loop: the renewal of knitting. University of Southampton Special Collections Newsletter., 2009, (7), 16-17. With knitting once again enjoying a huge surge in popularity, the relevance and renewal of this craft was celebrated with an exhibition and conference in summer 2008. The source of inspiration for these two events was the Knitting Collections held by the University of Southampton Library.